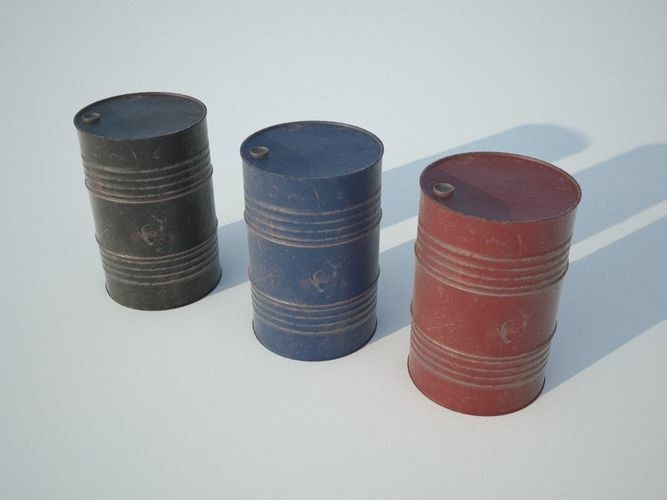 Low-poly metal barrel model. 3 types of diffuse color. Texture set: diffuse, normal, glossiness, IOR, reflection.